ThermoCat is so excited the Bowl, Blade and Lid (BBL) set host reward is back by popular demand! Imagine having a second BBL set to use specifically to cater for special dietary requirements. Or to keep cooking while you have yoghurt cooling or dough proving in your other bowl. Or doing a big cook up and not being slowed down by washing up. Or using one bowl just for savoury dishes (like curry) and one for all of your sweet creations. You will be able do whatever you want with your second BBL set thanks to the highly anticipated BBL set host reward. This exclusive host reward is available to TM5 and TM31 owners from 24 May to 11 July 2016. And to make this offer even more exciting it isn’t only available to current Thermomix owners. If you host a qualifying demo during this period and purchase your Thermomix at your demo you can purchase your second BBL set for just $205 (save $190). 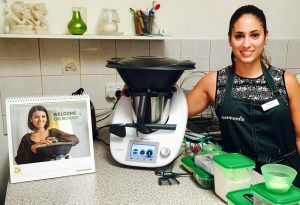 And to help you purchase your Thermomix and second BBL at your qualifying demo Thermomix in Australia have extended the 24 months interest free finance offer until 11 July 2016. 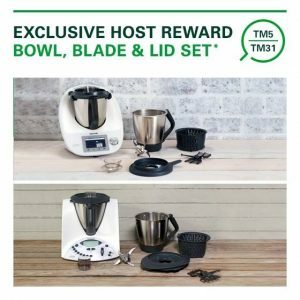 With weekly payments from just $21.50 (which includes the establishment fee and the monthly account service fees), owning a Thermomix has never been more affordable! Click here for more information about 24 months interest free finance with zipMoney or click here for more details about how to apply. And don’t forget to include the cost of your second BBL set in your application for the 24 months interest free finance. 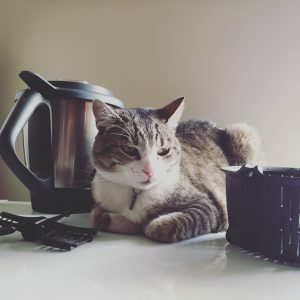 There has never been a better time to purchase your Thermomix! Contact me or your consultant for more info. For more information about hosting a demo click here.